In Moone Boy, Chris O’Dowd’s semi-autobiographical sitcom about growing up in the Co Roscommon town of Boyle in the 1980s, the 12-year-old protagonist Martin mourns his last day of primary school. Martin bids farewell to the blackboard, chairs and broken projector while his more excitable fellow pupils are busy spray-painting the school walls with graffiti, overturning the teacher’s car, and setting desks on fire in the carpark. What was once Tivanagh National School is not quite the school around the corner from Boyle — the town is about 5km away and it’s safe to say that when it closed for good in the 1950s, its pupils left the schoolhouse in a more orderly fashion than depicted in Moone Boy. By 1950, Ireland had some 4,890 national schools — most of them one and two-classroom schools, according to the Central Statistics Office. But these began falling into disrepair and dereliction amid rural depopulation, emigration, and improvements in transport moved schools to towns. In recent decades, abandoned schoolhouses have been enjoying a new lease of life as residential homes, rescued by buyers with a hankering for a home that stands out from the identikit. 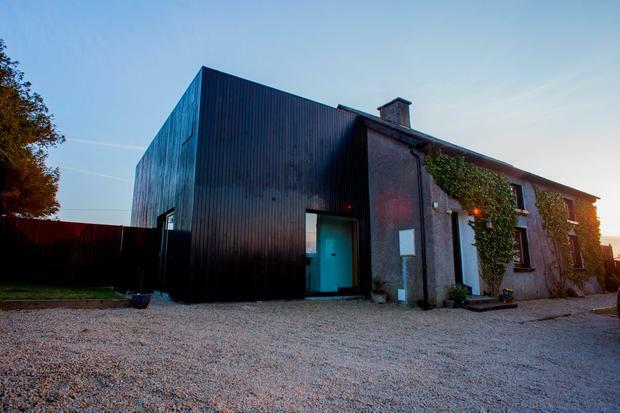 Among them is Linda Shevlin, an independent visual arts curator from Leixlip, who, with her then-husband and fellow artist Padraig Cunningham, bought the former Tivanagh schoolhouse in 2005, renovated it, and then added a contemporary extension to the building in 2008. 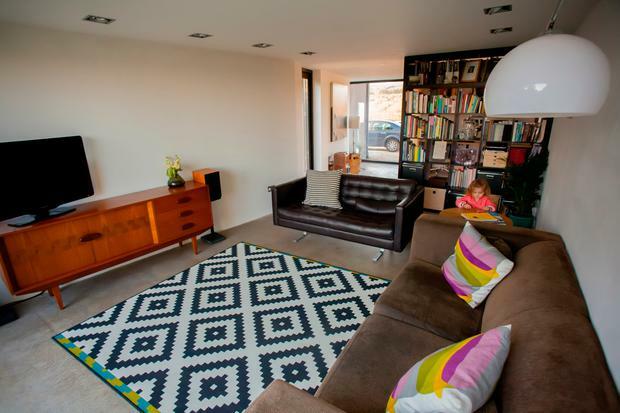 The house recently drew the eye of a producer working with RTE and it ended up being shortlisted for Home of the Year 2018. One of the judging panel lauded it as a “lesson in how to extend an old building”. So how did it all start? “One day, when we were in Sligo, we saw Tivanagh listed in the newspaper for about €120,000, which meant an affordable mortgage for us. We bought it even though it was the first house we viewed. My ex-husband is from Sligo and I was working in Dublin and all over the country, so it was in a handy location.” After relocating, older neighbours told them how they had attended the former school, which dates back to 1902. The two-storey Tivanagh schoolhouse had already been converted into a home in the 1960s. But that conversion had been carried out without paying heed to the building’s heritage. By the time Linda and Padraig arrived, there were few clues that the period property had once been a school, apart from the quarry tiles on the hall floor and the original dry-stone walls surrounding the school. “There was nothing for us to salvage, but we tried to be sympathetic to the building’s era rather than doing a pastiche of the early 1900s,” Linda says. “We upgraded the insulation, put in proper flooring and foundations, a radon barrier, and rewired and replumbed it. We updated the oil-fired central heating, put in solar panels for hot water, and underfloor heating in the extension.” In 2008, the pair were working from their respective studios in nearby Carrick-on-Shannon. Because Tivanagh schoolhouse sits on two-thirds of an acre, they realised there was plenty of space to build a studio adjoining their home. 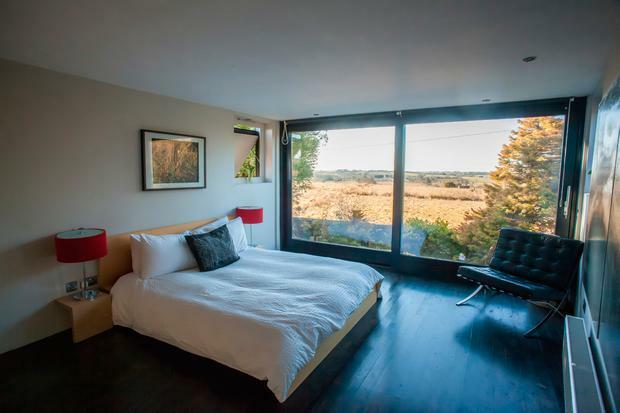 So they hired Wicklow-based architect Ronan Rose Roberts to design a two-storey extension with a workspace and studio on the ground floor and a master en suite and a bathroom with a wet room-style shower on the first floor. Roberts’ design reflected the two artists’ interest in modernism. True to his brief, the result resembles a black timber box recessed back from the road. 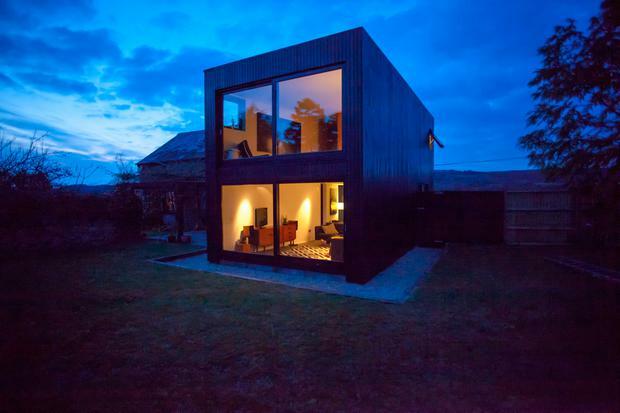 The exterior of the extension is clad in black-painted cedar. 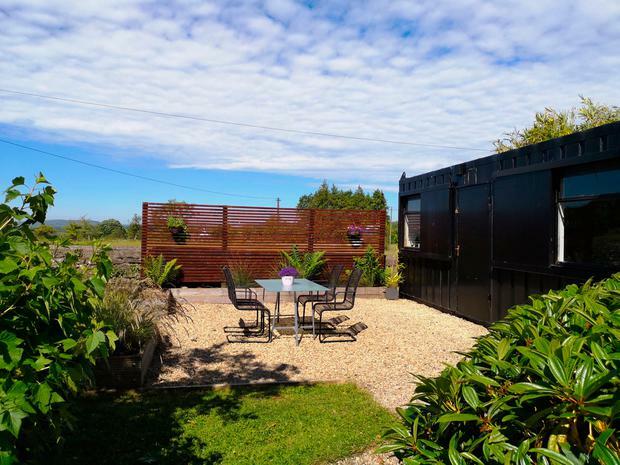 It brought the three-bed home’s total size to 1,808 sq ft.
After daughter Ruby was born, the pair moved their workspaces into a shipping container in the garden, allowing the erstwhile studio extension to become a living room. Rear floor-to-ceiling sliding glazed doors from this space and from the first-floor master bedroom look out onto the walled, south-facing back garden and the farmland beyond. There are polished concrete floors to the living area, which is separated from the office to the front of the extension by a tall, wide bookcase and features a French wood-burning stove from the 1940s that Linda picked up in a Glengarriff salvage store. A simple but sleek staircase leads to the first floor. Beside the granite steps leading up to its black front door, the former school’s original plaque reads: “Tivanagh National School A.D. 1902”. The dining area is fitted with reclaimed solid-wood parquet floors, an antique fireplace, and a glass door that opens onto the rear patio. The dining room is also connected to a room that houses a kids’ area and to the compact kitchen. The kitchen has a Belfast-style sink and white units from Ikea, with stainless steel fittings and white tiles to the splashback. Strandhill. The price for Tivanagh Schoolhouse is €250,000. A choice of four protected structures which ooze charm in South Dublin.